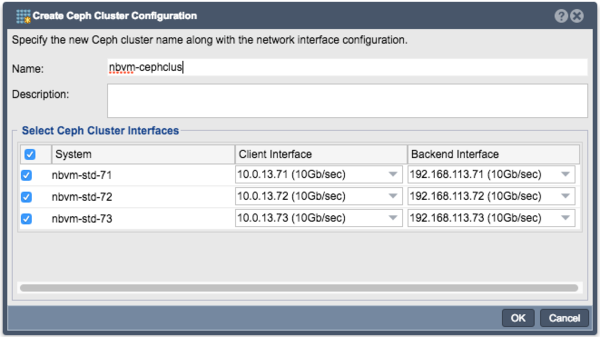 Welcome to the Administrator's Guide to using QuantaStor's Scale-out SAN solution using Ceph. QuantaStor Scale-out SAN is intended to provide a highly scalable Storage Area Network solution where the QuantaStor system is used to provision SAN block storage to iSCSI or Fiber-Channel clients sourced from a Ceph storage backend. This guide will provide details regarding Ceph technology as well as instructions on how to setup and configure a Scale-out SAN installation using QuantaStor. QuantaStor with Ceph is a highly-available and elastic SDS platform that enables scaling object storage environments from a small 3x system configuration to hyper-scale. Within a QuantaStor grid up to 20x individual Ceph clusters can be managed through a single pane of glass by logging into any system in the grid with any major web browser. The Web UI's powerful configuration, monitoring and management features make it easy to setup large complex configurations with ease without ever using a console or command line tools. The following guide covers how to setup object storage, monitor, and maintain it. This section will introduce the various component terminology and concepts regarding Ceph to enable confident creation and administration of a Scale-out SAN solution using QuantaStor and Ceph. A ceph cluster is a group of three or more appliances that have been clustered together using the ceph storage technology. Ceph requires a minimum of three nodes to create a cluster in order to establish a quorum. In QuantaStor, Appliances must first be Grid members before they can be added to, or create, a Ceph cluster. In the above diagram, the QuantaStor Grid is also the Ceph Cluster. 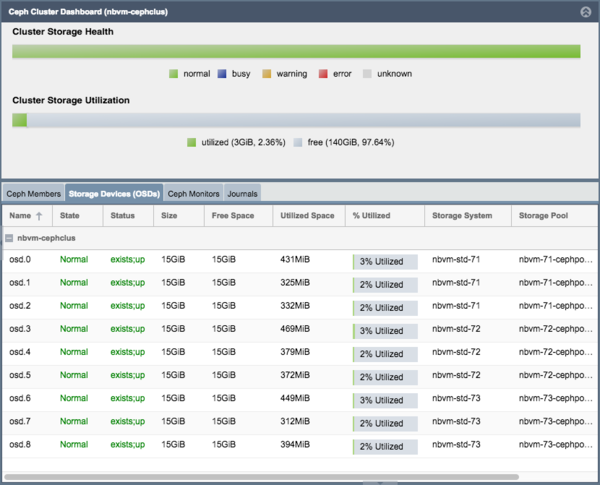 Note that when the Ceph Cluster is initially created there is no storage associated with it (OSDs), only monitors. The Ceph Monitors form a paxos part-time parliment cluster for the management of cluster membership, configuration information, and state. Paxos is an algorithm (developed by Leslie Lamport in the late 80s) which uses a three-phase consensus protocol to ensure that cluster updates can be done in a fault-tolerant timely fashion even in the event of a node outage or node that is acting improperly. Ceph uses the algorithm so that the membership, configuration and state information is updated safely across the cluster in an efficient manner. Since the algorithm requires a quorum of nodes to agree on any given change an odd number of appliances (three or more) are required for any given Ceph cluster deployment. During initial Ceph cluster creation, QuantaStor will configure the first three Appliances to have active Ceph Monitor services. Configurations with more than 16 nodes should add at least two additional monitors. On configurations with more than 16 nodes two additional monitors should be setup can this can be done through the QuantaStor WebUI in the Scale-out Block & Object section. Monitors startup automatically when the appliance starts and the status and health of monitors is monitored by QuantaStor and displayed in the WebUI. A minimum of two ceph monitors must be online at all times so in a three node configuration two of the three appliances must be online for the storage to be online and available. When a cluster is initially created, QuantaStor configures the first three appliances to have active Ceph Monitor services running. The Ceph Object Storage Daemon, known as the OSD, is a daemon process that reads and writes data, representing the actual data storage containers. When a client writes data to a Ceph based iSCSI/RBD block device, or via the S3/SWIFT gateway, the data is spread out across the OSDs in the cluster automatically. QuantaStor Scale-out SAN with Ceph deployments must have at least 3x OSDs per appliance, making 9x OSDs total the minimum number of Daemons. 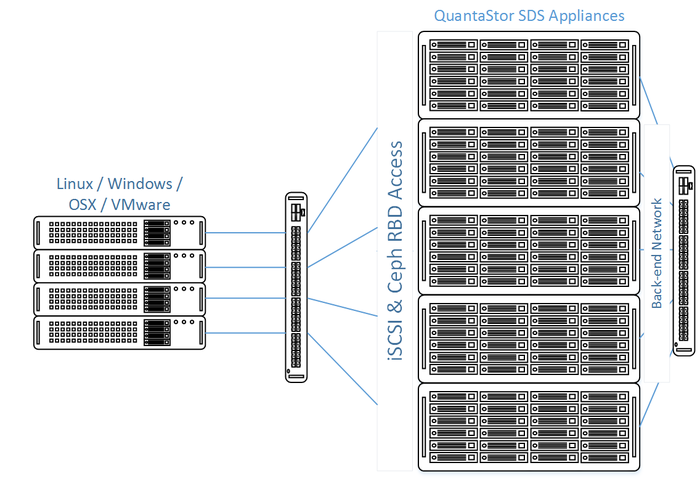 Each OSD is attached to one XFS-based QuantaStor Storage Pool. QuantaStor requires the use of XFS Storage Pools for use as Ceph OSDs due to extended attribute requirements. Each OSD is also assigned one Journal Device. Because the creation of OSDs, the underlying Storage Pools for them, and their associated Journal devices is a multi-step process QuantaStor has a Multi-OSD Create configuration dialog which does all of these configuration steps for an entire cluster in a single dialog. This makes it easy to setup even hyper-scale Ceph deployments in minutes. It is important to note that, in ceph, writes are never cached. This is good because it ensures that every write is written to stable media (the disk devices) before Ceph acknowledges to a client that the write is complete. This prevents corruption in the event of a power outage because data that is being written out is only complete once it is on stable media. The cluster will work around the bad node until it comes back online and re-synchronizes with the cluster. The trade-off to never caching is a loss of write performance. HDDs are slow due to rotational latency and seek times for spinning disk are high. The solution is to log every write to fast persistent solid state media (SSD, NVMe, X Point, NVDIMM, etc), called a journal device. Using a fast journal device allows Ceph to initially write data to the journal, returning a "write complete" to the client much faster, even though the data has not yet been written to the slower HDDs. By retaining the data on the journal until it can be written to the HDDs, the data can be recovered automatically in the event of a power outage. Ceph retains a copy of the data in RAM and uses that to write lazily to the HDD. This means that the journal device is only used as a write log and will never be read from unless a recovery scenario is encountered. Because the journal device will encounter high, sustained write-pressure, Datacenter grade or Enterprise grade SSDs must be used for Ceph journal devices. Desktop SSD devices are fast for a few seconds, but their write performance drops significantly. Additionally they wear out very quickly. As a result OSNEXUS will not certify the use of desktop SSDs in any production deployment of any kind. By example, we tested with a popular desktop SSD device which produces 600MB/sec but performance quickly dropped to just 30MB/sec after just a few seconds of sustained write load. QuantaStor's WebUI will allow any block device in the Physical Disks section to be selected as a Journal Device, but only Enterprise SSD, NVMe or PCI SSD devices with high performance and write-endurance should be used. Once selected to be a Journal Device, QuantaStor will automatically partition it up into 8 journal partitions. One journal is required for each Object Storage Daemon (OSD), meaning each Journal Device can support up to 8 OSDs. For an appliance with 20x OSDs one would want at least 3x SSDs, but in reality the use of additional SSDs would be recommended in order to ensure even distribution of load across Journal Devices. A hardware RAID controller can be used to combine multiple SSDs (using RAID5) to make a high-performance fault-tolerant journal. We recommend using PCI SSD, NVMe devices, or multiple SSDs in RAID5 or a pair in RAID1. A dedicated RAID controller can also be used to create a RAID5 based SSD journal devices to further boost performance. Again, each of these logical or physical devices is sliced up into 8x journal partitions so that up to 8x OSDs can be supported per Journal Device. Ceph uses Placement Groups to implement mirroring (or erasure coding) of data across OSDs according to the configured replica count for a given Ceph Pool. The user specifies how many copies of the data must be maintained by the Ceph Pool during creation to ensure a level of high-availability and fault-tolerance, usually 2 copies when using hardware RAID or 3 copies when no disk-level RAID is present. Ceph in turn creates a series of Placement Groups as directed by QuantaStor to be associated with the Ceph Pool. One way to think of the placement groups is as logical mini-mirrors in a RAID10 configuration. Each placement group is either a two-way, three-way or 4-way mirror across 2, 3, or 4 OSDs respectively. Because the number of OSDs will grow over the life of the cluster, QuantaStor allocates a large number of PGs for each Ceph Pool to evenly distribute data across the OSDs and accommodate future expansion as OSDs are added. In this way Ceph can very efficiently re-organize and re-balance PGs to mirror across new OSDs as they are added. The PG count stays fixed as OSDs are added but a maintenance command can be run to increase the PG count for a Ceph Pool if the PG count gets low relative to the number of OSDs in the Pool. In general the PG count should be roughly 10x to 100x higher than the OSD count for a given Ceph Pool. Similar to RAID10 technology, a PG can become degraded if one or more copies is offline. Ceph is designed to keep running in a degraded state when copies are lost, so whole systems can go offline without any disruption to clients accessing the cluster. Ceph also automatically repairs and updates the offline PGs once the offline OSDs come back online online and if the offline appliance doesn't come back online in a reasonable amount of time the cluster will auto heal itself by adjusting the PGs, swapping out the offline OSDs with good online OSDs. In this way a cluster will automatically heal a Ceph Pool back to 100% automatically (ie, return to full/complete copy count). Also, if an OSD is explicitly removed, the PGs referencing it are re-balanced and re-organized across the remaining OSDs to recover the system back to 100% health on the remaining OSDs. S3/SWIFT object storage gateways require the creation and management of several Ceph Pools, which together represent a region+zone for the storage of objects and buckets. QuantaStor groups all the Ceph Pools used to manage a given object storage configuration into a Object Storage Group. QuantaStor also automatically deploys and manages Ceph S3/SWIFT Object Gateways on all appliances in the cluster that were selected as gateway nodes when the Object Storage Group was created. 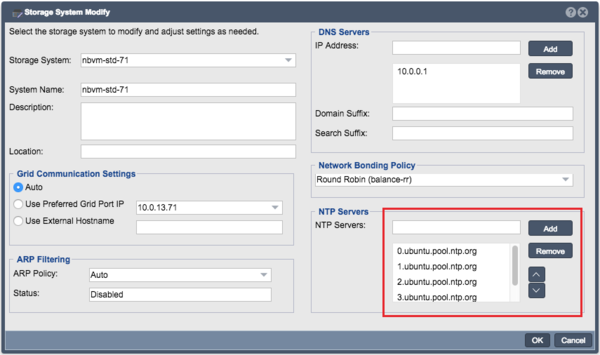 Additional gateways can be deployed on new or existing nodes at any time. Note that Object Storage Groups are a QuantaStor construct so you won't find documentation about it in general Ceph documentation. Access to object storage via S3 and SWIFT requires a Access Key and a Secret Key just like with Amazon S3 storage. Each User Object Access Entry is a Access Key + Secret Key pair which is associated with a Ceph Cluster and Object Storage Group. You must allocate at least one User Object Access Entry to read/write buckets and objects to an Object Storage Group via the Ceph S3/SWIFT Gateway. Ceph supports the ability to organize placement groups, which provide data mirroring across OSDs, so that high-availability and fault-tolerance can be maintained even in the event of a rack or site outage. By defining failure-domains, such as a Rack of appliances, a Site, or Building, a map can be created so that Placement Groups are intelligently laid out to ensure high-availability despite the outage of one or more failure-domains, depending on the level of redundancy. This intelligent map is called the Ceph CRUSH map, standing for Controlled, Scalable, Decentralized Placement of Replicated Data, and it defines how to mirror data in the Ceph cluster to ensure optimal performance and availability. Creating CRUSH maps manually can be a complex process, so QuantaStor creates and configures CRUSH maps automatically, saving a large degree of administrative overhead. To facilitate automatic CRUSH map management, detail regarding where each QuantaStor appliance is deployed must be provided. This is done by creating a tree of Resource Domains via the WebUI (or via CLI/REST APIs) to organize the Appliances in a given QuantaStor Grid into Racks, Sites, and Buildings. QuantaStor uses this information to automatically generate an optimal CRUSH map when pools are provisioned, ensuring optimal performance and high-availability. Custom CRUSH map changes can still be made to adjust the map after the pool(s) are created and OSNEXUS provides consulting services to meet special requirements. Resource Domains are a QuantaStor construct so you will not find mention of them in general Ceph documentation, but they map closely to the CRUSH bucket hierarchy. This section will deal step through the process of setting up and deploying Scale-out SAN using Ceph on QuantaStor. Before getting starting with setting up and deploying Scale-out SAN using Ceph, it is highly recommended that you familiarize yourself with the concepts in the above sections. To achieve quorum a minimum of three appliances are required. The storage in the appliance can be SAS or SATA HDD or SSDs but a minimum of 1x SSD is required for use as a journal (write log) device in each appliance. Appliances must use a hardware RAID controller for QuantaStor boot/system devices and we recommend using a hardware RAID controller for the storage pools as well. 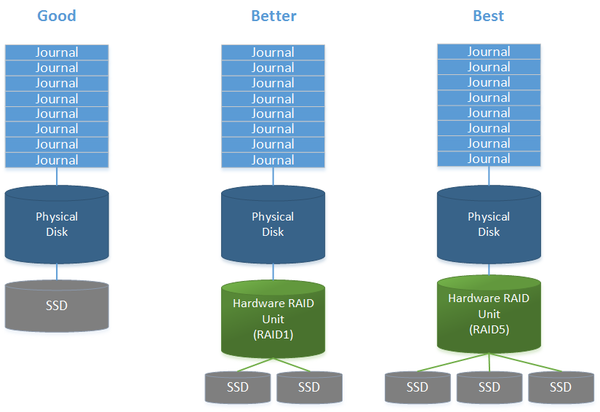 Journals can be made fault-tolerant and easily maintained by configuring them into RAID1 or RAID5 units. Multiple DC grade SSDs can be combined to make ultra high-performance and high-endurance Journal Devices and the sequential nature of the journal writes lend well to the write patterns for RAID5. Disk drives are easy to replace with no knowledge of Ceph required. Simply remove the bad drive identified by the RED LED and replace it with a good drive. The RAID controller will absorb the new drive and automatically start repairing the degraded array. When the storage is fault-tolerant one need only maintain two (2) copies of the data (instead of 3x) so the storage efficiency is 40% usable vs. the standard Ceph mode of operation which is only 33% usable. That's a 20% increase in usable capacity. RAID controllers bring with them 1GB of NVRAM write-back cache which greatly boosts the performance of OSDs and Journal devices. (Be sure that the card has the CacheVault/MaxCache supercapacitor which is required to protect the write cache). Reduces the OSD and placement group count by 5x or more which allows the cluster to scale that much bigger and with reduced complexity (a cluster with 100,000 PGs use less RAM per appliance and is easier for Ceph monitors to manage than 500,000 PGs). Besides the nominal extra cost associated with a SATA/SAS RAID Controller vs a SATA/SAS HBA we see few benefits and many drawbacks to using HBAs with Ceph. Some in the Ceph community prefer to let bad OSD devices fail in-place never to be replaced as a maintenance strategy. Our preference is to replace bad HDDs to maintain 100% of the designed capacity for the life of the cluster. Hardware RAID makes that especially easy and QuantaStor has integrated management for all major RAID controller models (and HBAs) via the Web UI (and CLI/REST). QuantaStor's web UI also has an enclosure management view so that it's easy to identify which drive is bad and where it is located in the server chassis. Networking for scale-out file and block storage deployments use a separate front-end and back-end network to separate the client communication to the front-end network ports (S3/SWIFT, iSCSI/RBD) from the inter-node Ceph communication on the back-end. This not only boosts performance, it increases the fault-tolerance, reliability and maintainability of the Ceph cluster. All nodes should have one or more ports designated as front-end ports and assigned IP address and subnet masks specifically for client access. For all nodes one or more ports should be designated as the front-end ports and assigned appropriate IP addresses and subnets to enable client access. One can have multiple physical, virtual IPs, and VLANs used on the front-end network to enable a variety of clients to access the storage. The back-end network ports should all be physical ports but it is not required. The minimum node count for a Scale-out SAN configuration using Ceph is 3 Appliances, with a maximum node count of 64. Install QuantaStor on each Appliance and following the steps below to complete the initial setup. For details, please see the QuantaStor Installation Guide, which includes details steps and troubleshooting. Update the configuration of each network port using the Modify Network Port dialog to put it on either the front-end network or the back-end network. The port names should be consistently configured across all system nodes such that all ethN ports are assigned IPs on the front-end or the back-end network but not a mix of both. A QuantaStor Grid enables the administration and management of multiple Appliances as a unit (single pane of glass). By joining Appliances together in a Grid, the WebUI will display and allow access to resources and functionality on all Appliances that are members of the Grid. Grid membership is also a prerequisite for the High-Availability and Scale-out configurations offered by QuantaStor. Networking between the nodes must be configured before proceeding with Grid setup. Once network is configured and confirmed on a per-Appliance basis, proceed to creating the QuantaStor grid using the following instructions. The node where the Grid is created initially will be elected as the initial primary/master node for the grid. The primary node has an additional role in that it acts as a conduit for intercommunication of grid state updates across all nodes in the grid. This additional role has minimal CPU and memory impact. Name: The Grid name can be set to anything. After pressing OK, QuantaStor will reconfigure the node to create a single-node Grid. Now that the Grid is created and the Primary node is a member, proceed to add all the additional appliances. Note that this should be done from the Primary node's WebUI. Repeat this process for each node to be added to the QuantaStor Grid. 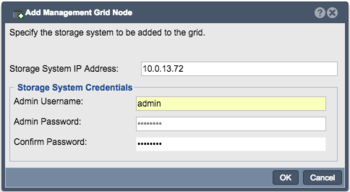 The Grid and member Appliances can be managed by connecting to the WebUI of any of the members. It is not necessary to connect to the master node. Appliance to Appliance communication typically works itself out automatically but it is recommended that you specify the network to be used for appliance inter-node communication for management operations. This is done by selecting the 'Preferred Grid IP' in the Storage System Modify dialog by right-clicking on each appliance in the grid and selecting 'Modify Storage System...'. Be aware that the management user accounts across the appliances will be merged as part of joining the Grid. This includes the admin user account. In the event that there are duplicate user accounts, the user accounts in the currently elected primary/master node takes precedence. As noted in the Getting Started section, creating RAID5 pools using 5 disks each to use as your XFS Storage Pool devices is highly recommended for performance and redundancy reasons. Ultimately any form of block storage can be used to create the XFS Storage Pools necessary for use with Ceph, but any other configuration should be reserved only for test environments. Expand the Hardware Enclosures & Controllers drawer under the Storage Management window. Right click on the Controller and select Create Unit. Proceed to create hardware RAID5 unites using 5 disks per RAID unit (4 data disks + 1 Parity). Repeat this on each node of the Grid until all devices have been assigned to RAID units and presented as LUNs. Click the Scan button in the Physical Disks section of the ribbon bar to discover the new devices. Ensure NTP servers are configured for each Appliance by right clicking on the Appliance under the Storage System drawer and select Modify Storage System... and examine that you have valid NTP servers configured. Note that QuantaStor retains the Ubuntu default NTP servers, but this may need to be adjusted based on accessibility restrictions of the Ceph cluster's network. The QuantaStor Grid and a Ceph Cluster are separate constructs. The Grid must be setup first and can consist of heterogeneous mix of up to 64 appliances which can span sites. Within the grid one can create up to 20x Ceph Clusters where each cluster must have at least 3x appliances. A given appliance cannot be a member of more than one grid or cluster at the same time. Typically a grid will consist of just one or two Ceph clusters and most often the cluster is built using appliances that are all within one site but a cluster can span multiple sites as long as the network connectivity is stable and the latency is relatively low. For high latency links the preferred method is to setup a asynchronous remote-replication link to transfer data (delta changes) from a primary to a secondary site based on a schedule. Make sure that all of the network ports selected for the front-end network are the ports that will be used for client access (S3/SWIFT, iSCSI/RBD) and that the back-end ports are on a private network. While stand-alone SSD devices can be used as Journal Devices, in practice it's better to use hardware RAID to protect and accelerate the journal device. Using RAID1 with two SSDs will make it easy to maintain with no downtime for the node. Going further, using RAID5 will boost performance and provide fault tolerance for a relatively small increase in hardware cost for a large boost in write performance. The Multi-Create tool makes the creation of the XFS Storage Pools, Ceph Journals, and OSDs very simple, with a single dialog handling the initialization of all three components. Use the following instructions to begin. Select the Scale-out Block and Object Storage tab in the top menu of the QuantaStor WebUI and click the Multi-Create button. Once this form is submitted, QuantaStor will begin the process by creating an XFS Storage Pool for each of the disks added as an OSD in the Multi-Create dialogue. This process takes time. Allow a few minutes after the final Create Ceph OSD task completes for all OSDs to show up and fully initiate. Please see the Manual Journal and OSD creation section in Management and Operation below for details on how to manually build the Journals, XFS Storage Pools, and OSDs. Because of the number of steps required and complexity, manual creation discouraged in favor of the Multi-Create tool. 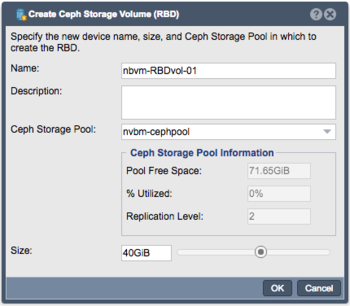 The Ceph Storage Pool represents the data container that RBD Scale-out Storage Volumes will be generated from. 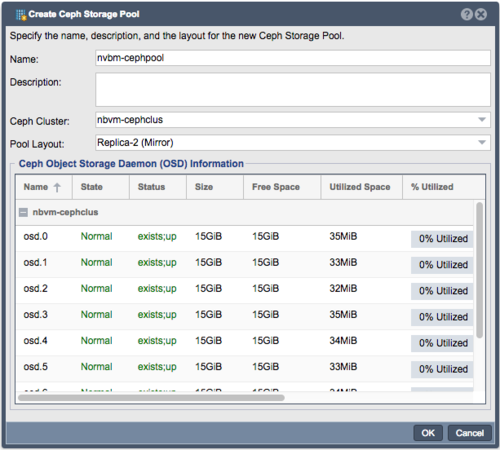 By default, the creation of a new Ceph Storage Pool will select all OSDs that are available in the Ceph Cluster. Once the Ceph Pool is created the Cluster health status will update to reflect the overall health of the cluster to include the health of the PGs associated with the new pool. Pool Layout: Use this to set your level of redundancy for the cluster. Note that in QuantaStor 4.0 and below, all OSDs in the cluster will be included in the pool, but the QuantaStor 4.1 release will include the ability to select specific OSDs to be used for data and other OSDs to be used as a fast SSD tier to accelerate read and write performance. Provisioning iSCSI Storage Volumes from Ceph based Storage Pools is identical to the process used for ZFS based Storage Pools. You can use the Create Storage Volume dialog from the main Storage Management tab and select the pool to provision from. Note that the iSCSI initiator (VMware, Linux, Windows, etc) must be configured login to a QuantaStor network port (target port) IP address on each system associated with the Ceph Cluster that the RBD is a member of so that there are multiple paths to the storage. If only a single system connection is made there will be no automatic fail-over in the event of an outage. 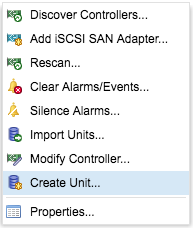 All key setup and configuration options are completely configurable via the WebUI. Operations can also be automated using the QuantaStor REST API and CLI. Custom Ceph configuration settings can also be done at the console/SSH for special configurations, custom CRUSH map settings; for these scenarios we recommend checking with OSNEXUS support or pre-sales engineering for advice before making any major changes. One of the great features of QuantaStor's scale-out Ceph based storage is that it is easy to expand by adding more storage to existing appliances or by adding more appliances into the cluster. Note that it is not required to use the same hardware and same drives when you expand but it is recommended that the hardware be a comparable configuration so that the re-balancing of data is done evenly. Expanding can be done one appliance at a time and the OSDs for the new appliance should be roughly the same size as the OSDs on the other appliances. If you add more OSDs to existing appliances then be sure to expand multiple or all appliances with the same number of new OSDs so that the re-balancing can work efficiently. If your pools are setup with a replica count of 2x then at minimum a pair of appliances with additional OSDs at a time. The cluster health dashboard has two bars, one to show how much space is used and available, the second shows the overall health of the cluster. The health bar represents the combined health of all the "placement groups" for all pools in the cluster. If a node goes offline or a system is impacted such that the OSDs become unavailable this will cause the health bar to show some orange and/or red segments. Hover the mouse over the effected section to get more detail about the OSDs that are impacted. Additional detail is also available if the OSD section has been selected. If you've setup the cluster with OSDs that are using hardware RAID then your cluster will have an extra level of resiliency as disk drive failures will be handled completely within the hardware RAID controller and will not impact the cluster state. Additional Appliances can be added to the Ceph Cluster at any time. The same hardware requirements apply and the Appliance will need to have appropriate networking (connections to both Client and Backend networks). Client & Backend Interface: QuantaStor will attempt to select these interfaces appropriately based on their IP addresses. Verify that the correct interfaces are assigned. If the interfaces do not appear, ensure that valid IP addresses have been assigned for the Client and Back-end Networks and that all physical cabling is connected correctly. Enable Object Store for this Ceph Cluster Member: Leave this unchecked if using as Scale-out SAN/Block Storage solution. Check this if using Object storage. OSDs can be added to a Ceph Cluster at any time. 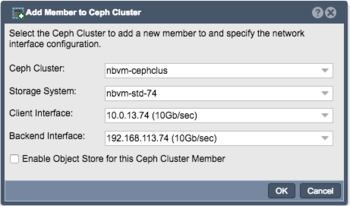 Simply add more disk devices to existing nodes or add a new member to the Ceph Cluster which has unused storage. It is recommended to setup RAID5 hardware RAID units using the available spindles using the Hardware Controllers & Enclosures section. Afterwards the new devices can be added as OSDs using the Multi-OSD Create dialog. Note that if you are not adding additional SSD devices to be used as journal devices for the new OSDs that you must check the option to Use existing journal devices which will use existing unused journal partitions for the newly create OSDs. Make sure there is adequate space available in the remaining OSDs in the cluster. If you have 30x OSDs and you're removing 5x OSDs then the used capacity will increase by roughly 5/25 or 20%. If there isn't that much room available be sure to expand the cluster first, then retire/remove old OSDs. If there is a large amount of data in the OSDs it is best to re-weight the OSD gradually to 0 rather than abruptly removing it. In multi-site configurations especially, make sure that the removal of the OSD doesn't put pools into a state where there are not enough copies of the data to continue read/write access to the storage. Ideally OSDs should be removed after re-weighting and subsequent re-balancing has completed. For Ceph Clusters up to 10x to 16x appliances the default 3x monitors is typically fine. The initial monitors are created automatically when the cluster is formed. Beyond the initial 3x monitors it may be good to jump up to 5x monitors for additional fault-tolerance depending on what the cluster failure domains look like. If you cluster is spanning racks, it is best to have a monitor in each rack rather than having all the monitors in the same rack which will cause the storage to be inaccessible in the event of a rack power outage. Adding/Removing Monitors is done by using the buttons of the same names in the toolbar. The following guide will provide an outline of steps to take when encountering issues with Scale-out SAN and Object Storage using Ceph in a QuantaStor environment. 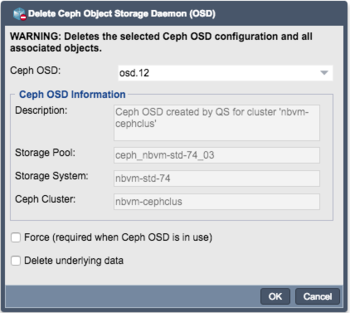 If not correctable, remove the OSD from the Ceph configuration. Provide new storage and use the steps described in the Management and Operations section to create a new OSD (and Journal if necessary). Ceph will automatically restore OSD status and rebalance data once network status has been successfully restored. In the event a node has completely failed (due to hardware failure, decomissioning, or other action), the node should be removed from the Ceph cluster. A new node can then be added to the cluster (if desired or necessary). See the Management and Operations section for details on Removing and Adding a node to a Ceph cluster. This page was last modified on 17 April 2019, at 07:36.